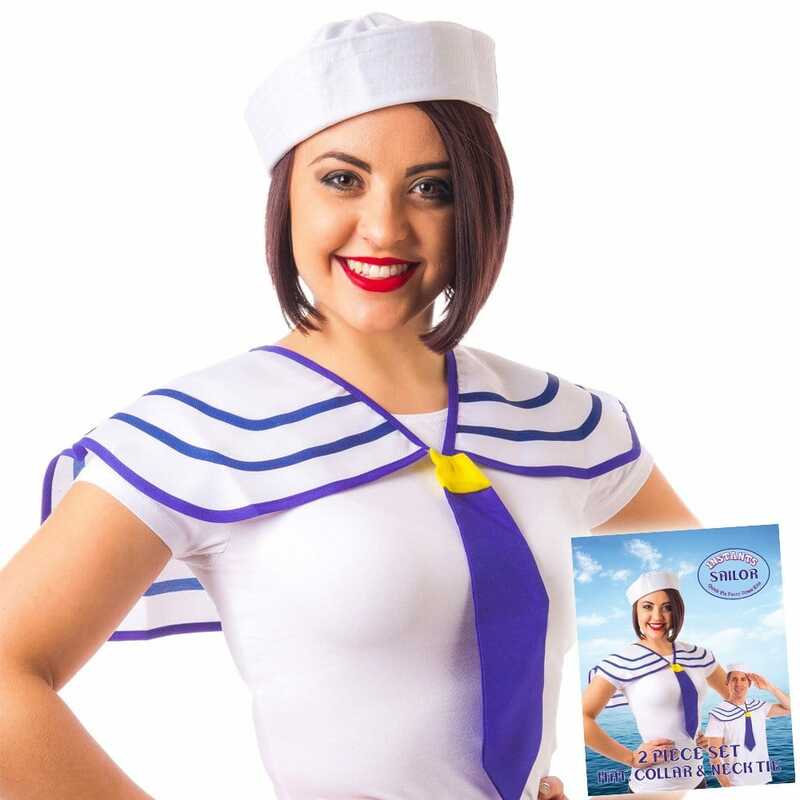 Kit out your hen crew with this amazing-value Instant Sailor Girl Set. It's especially perfect if you're hosting your hen do on a cruise boat. This instant costume kit contains a blue and white collar with attached blue necktie. It also includes a cute sailor hat, for an authentic sea-faring look. Wear these accessories with your ordinary clothes to instantly transform yourself into a sailor girl. They'll look adorable with a white mini dress and heels! Don't forget that Hen Party Superstore offer next day delivery, for your last minute fancy dress needs!